When you are ready to sell a property, there are many factors to consider. In the Bay Area, 1 in 4 property owners owe more than the property is currently worth. Whether you need to start a short sale or are wondering how to compete with them, it is more important than ever to have help. Thinking about buying a home? Wondering where to begin? 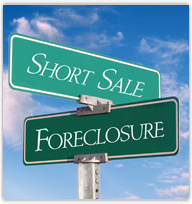 Should you buy a foreclosure, short sale or find a regular transaction? In today's marketplace there are more questions than ever and we have not even discussed how to finance the purchase. Talk to a professional today. For many people in today's market, selling a property has become even more complicated than usual. Now more than ever, it is important to work with a top-quality, service-oriented real estate professional that has the experience necessary to make your sale a sucessful transaction. Service First Real Estate specializes in helping you turn a complicated situation in to a smooth closing. For many of our clients that need to sell their home, discretion is important. We understand that holding an open house or putting a traditional for sale sign in the yard is not always appropriate. Contact us today to see how we can help you! Get Educated. Understand where you are in the foreclosure process. The shortest timeframe for foreclosure in California is 3 months and 21 days. This process usually begins after you have missed your 3rd payment. Get Help. Do you need a Realtor to begin the short sale process? Do you need an Attorney to file bankruptcy? Do you need a CPA to understand the tax implications of your decision? Get Started. Don't delay. The longer you wait the more difficult the process will be and the less chance you have of being able to make a decision. If you delay, the decision may be made for you. Take control, set a goal and get started today! Foreclosure is rarely the right option. Explore all of your options and speak with a professional ASAP! The Seller pays NO transaction fees. Commissions, title and escrow fees, unpaid property taxes and most other fees are paid out of the proceeds of the sale. When you sell your primary residence, your lender(s) can not require you to contribute to the sale and must give you a full release with no possibility of a deficiency judgement. Senate Bills 931 and 458 modified Section 580 of the Code of Civil Proceedure to prohibit senior and junior lien holders from requiring contributions and pursuing deficiency judgements. Most lenders process short sale requests within 90 days. After an offer has been accepted by the seller and submitted to the lender(s), it will usually take 60-90 days for the bank to approve the short sale. Whether your property is worth $100,000 or $2,000,000 you can short sell your property. There are many reasons to short sell. Job loss, divorce, underemployment and job relocation are just a few reasons. In the Bay Area, most people that purchase their home after 2005 are underwater. If you view your property as an investment and you are $100,000, $500,000 or $1,000,000 underwater then perhaps it makes financial sense to shed this toxic asset. Every Seller's story is a little different. Short sales are very process oriented and choosing a Realtor that has short sale experience is extremely important. Most Realtors in the business today are very capable of selling your property. Few Realtors have the necessary experience to make your short sale a success. If your Realtor is inexperienced with short sales, mistakes can result in foreclosure. If you would like to discuss your situation, contact us today!